Are you looking for the essential tips to learn how to set up an oxy acetylene-torch and how to use your cutting torch? You’re in the right place. As beginners tend to make big mistakes, I did a huge recherche on torch cutting and collected all the information I could find right here. How does oxy-acetylene cutting work? What are the different types of torch cutting? Oxy-acetylene cutting is a gas flame cutting process to separate metal sheets. The separation is done by heating the surface of the material over melting temperature and burning it through the supply of additional oxygen. The resulting liquid metal slag is blown out by the cutting stream. The tool you use for oxy-acetylene cutting is called a cutting torch, sometimes also called flame cutter. The process is often also called oxy fuel gas cutting, oxygen burning, steel burning or flame cutting. For oxygen-acetylene torch cutting you need the two process gasses Oxygen (O2) and Acetylene (C2H2). Both gases are stored in separate compressed gas cylinders. The compressed gas cylinders typically have two regulators, one for the pressure in the gas cylinder and one indicating the pressure in the gas hose. The two gas hoses transport the gases to the torch. Once you mix the gases at the correct proportions and ignite them, you will receive a really hot flame with a temperature of up to 6300°F. Technically, mixing the gases is done in the cutting torch. On the tip of the cutting torch a nozzle mixes the gases. Gas valves on the torch let you fine-adjust the volume flow of the gasses. With the help of an additional oxygen blast trigger you can release additional oxygen through the nozzle. The additional O2 reacts with the metal to produce iron oxide and process heat. The process heat of the burning metal is used to continue the cutting process. In fact, the cutting torch is only used to heat the metal to start this process. 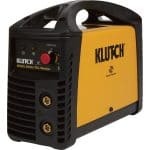 With your torch outfit you can cut, weld, braze, and heat various metals. Make sure that your hoses are not damaged and there is no leak in your system. Keep cylinders away from fire. First of all, mark and measure your cutting path. Now, the first thing you do before you start cutting with your torch is to make sure that you have the correct equipment and supplies. Especially you need protective clothing and safety goggles. Take a look at the cutting tip and clean the hole if not done already. Attach your hoses to the gas bottles. Oxygen hose usually is blue (black on old equipment). Acetylene hose is red. Carefully read your manual, make sure everything is installed correctly. Make sure the valves of your torch, the gas cylinders are still closed. Make sure regulator pressure adjustment screws are backed out. Open the oxygen bottle and the acetylene bottle very slowly. Adjust bottle regulator pressure according to your manufacturers’ charts. Make sure acetylene cylinder valve is not opened too much (read manual and safety instructions). Open and close each gas valve to separately flush the oxygen and fuel gas hoses. Carefully adjust the regulator pressure “at flow”. Make sure all hoses are leakfree. How to light a cutting torch? Before lighting the torch, you should have already set up the regulator pressure according to your manufacturer’s tip chart. 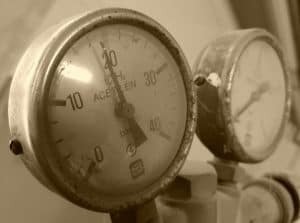 This means, most of the times the acetylene regulator pressure should be set somewhere between 5-7 psi and the oxygen bottle should be set to around 40 psi. Never use fuel pressure above 12-15 psi because it gets unstable and can blow up. Never light your torch when both, the oxygen and acetylene are already flowing. Now it’s time to adjust it for cutting. How to adjust the right settings – what is the right flame color? After you did the steps above you can additionally open the oxygen valve and adjust it to neutral flame. The correct flame color should always be cherry red and the temperatures should reach 3,480 degrees Celsius. Now is the time to see that the preheat flames are sharp. You will start to see small white cones when the oxygen valve is turned. Before you start cutting the metal, pre-heat it and start at the edge until it starts to glow. Press down on the lever and drag the torch along the path you marked. When cutting, keep the flames to the point where it touches the metal. Torch cutting can cut up to 12 inches thick. Once you are done cutting, close the oxygen valve at the torch first. Close acetylene valve at the torch. If you don’t do it in this order, dangerous flashbacks can occur. You may be familiar with the mini-flashbacks already when you had accidentally closed the acetylene valve first. 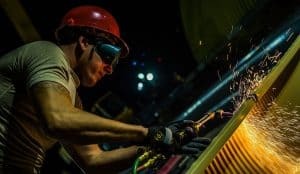 Oxygen-acetylene torch cutting can be dangerous due to the instability of the fuel and the high temperatures it can reach. Plus, purchasing acetylene can be expensive when compared to other gases. Plasma cutting is a process where inert gas is blown through a nozzle at a high speed which forms an electrical arc. The arc is applied to the metal being cut and provides a quicker cut and is an operational friendly process to cut metal. Laser cutting is a process where metal is melted by a thin and focused beam of intense energy which vaporizes and melts the metal. The material is melted or burnt away with high pressure and results in separating the metal. Laser cutting is computer-controlled to create a clean and accurate cut. They are mainly used where an intricate and precise cut is needed. Oxy-acetylene cuts metal by utilizing oxygen to burn metal. 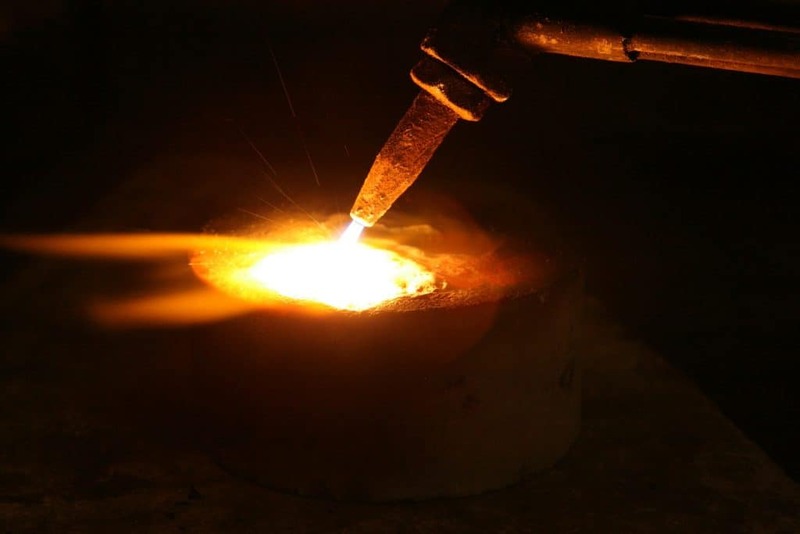 Heating the metal is caused by an acetylene flame that adds oxygen to burn the metal and increase the temperature. Elements in the metal begin to oxidize due to the heat of the oxygen. The pressure of the oxygen and the torch forces separates the metal. These torches only work on oxidized metals, which excludes aluminum and copper. They both can handle light and heavy preheats and have preheated holes. Torch cutting provides many benefits such as versatility and power, portability, and the ability to cut thick material with a range of tips. You don’t need a high skill level and torch cutting is easily mastered with practice. Depending on the manufacturer, the handle may make it easier to hold and takes away operator strain and pressure throughout the cutting process. 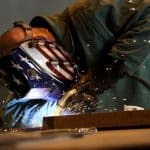 As you know, cutting and welding has revolutionized manufacturing and construction companies. They are both very important processes in a multitude of industries. Invented back in 1903, torch cutting is used to cut metals by acetylene and oxygen. Cutting metals has been easier and more efficient due to torch cutting and the handy resources it provides. It is a staple in the construction and manufacturing industries and should be a staple for your house as well. Popular brands include Victor Cutting, ESAB, and Smith Equipment. Each manufacturer has tips and tricks to help you along your cutting journey.